The date 14 February may have passed us by, but there’s no reason to stop feeling the love. In fact, it should be the very fuel propelling your travel plans with your lover, especially now that spring is around the corner. Want flowers and blooms, but not sure where exactly to head? Here are six intimate hotels, each thoughtfully picked for six different types of modern couples. If you have not gone to Santorini in Greece yet, it’s time for a visit, for it’s one of the most romantic place on earth! In the midst of its bustling coastal setting lies the Santorini Kastelli Resort, your must-book accomodation. Established at the foot of the hilly Thira, the hotel boasts a memorable Cycladic architecture that gets visitors in awe from the get-go. Be spellbound by the magnificent view of the turquoise Aegean Sea, white buildings, and blue-dome churches from your room here. When feeling beachy, you need only take a few steps to reach the neighbouring Kamari Beach. Spain’s Seville is a perfect destination place for artistic couples. 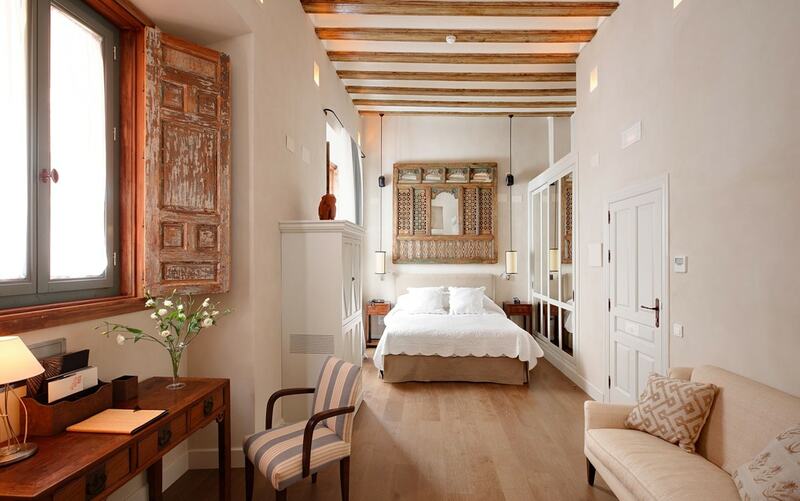 An enchanted city that seems to come straight out of a Spanish fairy tale, it is deemed heaven on earth by many vacationing lovebirds.To bask in an eyeful view of Seville’s magical landscape and historical landmarks, bunk in at Corral Del Rey, a hotel located in the heart of Seville. Its rooftop pool and terrace ensure that lovers can enjoy endless pourings of Sangria to in relaxation amidst all that Spanish panorama. 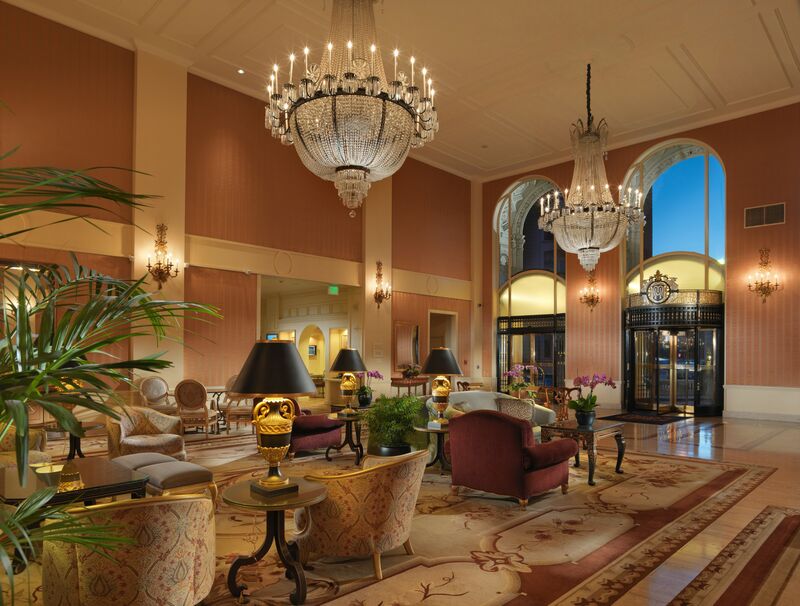 Located in San Francisco, California, the Intercontinental Mark Hopkins Hotel is the ideal romantic getaway for couples who bond over gastronomic delight. Upon checking in, be sure to soak in the romantic feeling that you would get with your lover, when you cross the hotel’s stunning landscapes over to the buffet table. A tip for those with marriage proposals up their sleeves: take your candlelit dinner plans to the next level at the rooftop floor, where you can get a full view of the Valley. If there’s an ultimate destination for lovebirds, it has got to be classical Paris. The romance inherently coded in Parisian air simply cannot be found anywhere else in the world. Happen to find yourselves in the City of Lights this month? Check into Hotel Grand Amour, a beautiful accommodation that screams retro chic with a touch of eroticism. Each room comes with its own theme of love and seduction, so rest assured that you won’t ever be bored here. When not too busy reconnecting with your lover, you can catch some fresh air on the hotel’s rooftop compound, roam the charming streets of Paris hand-in- hand, or go on a moonlit cruise on the Seine river. Adventurous couples looking to existentially foolproof their romance can look to Agra, India, where in the beautiful Oberoi Amarvilas hotel resides. Set on a vast arid landscape, this palatial destination befits couples who love to indulge in the finest things in life and unwind in style. This Mughal-styled hotel is also a convenient stop, being located only 1km away from the Taj Mahal and 15km away from Pandit Deen Royal Airport. 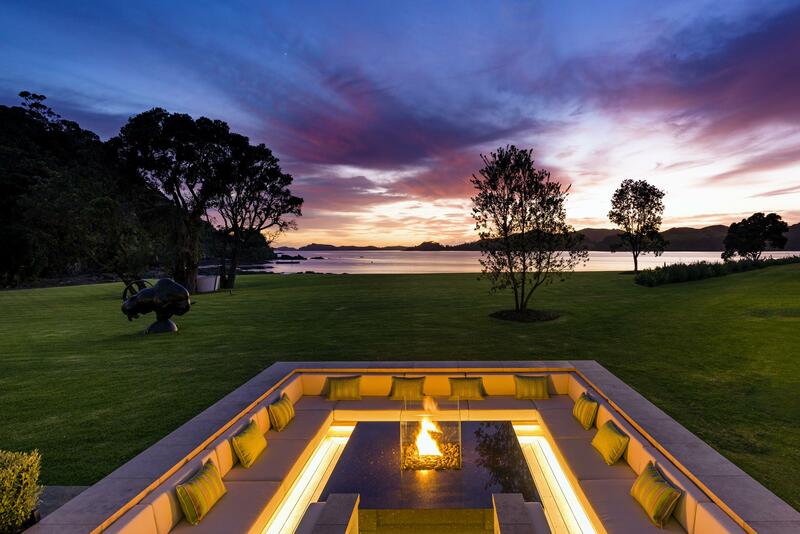 Located in Northland, New Zealand, the Helena Bay Lodge is one of the world’s most luxurious environment-driven hotels. The entirety of the estate covers a vast coastline, various beaches, and many intimate coves. The mind-blowing and mesmerizing backdrops and sceneries will make your jaw drop. This is a one-of- a-kind destination not to be missed, if you have the budget!